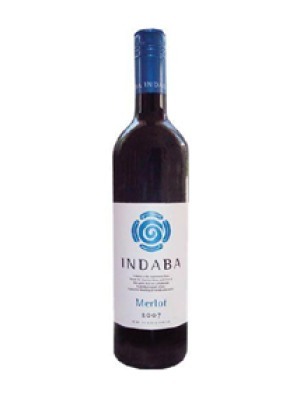 Indaba Merlot is a popular South African Red Wine available from TheDrinkShop in 75cl to buy online. Visit TheDrinkShop for the best price for 75cl of Indaba Merlot or compare prices on our other South African Red Wine products. This supple Merlot displays lip-smacking aromas and flavours of ripe cherry, plum, and chocolate, with notes of exotic spice and a slight hint of smoke. Versatile and approachable, it pairs well with pizza, pasta dishes, burgers, and barbecued pork. Where to buy Indaba Merlot ? Indaba Merlot Supermarkets & Stockists. You can buy Indaba Merlot online in most retailers and find it in the South African Red Wine aisle in supermarkets but we found the best deals online for Indaba Merlot in TheDrinkShop, Amazon.co.uk, and others. Compare the current price of Indaba Merlot in 75cl size in the table of offers below. Simply click on the button to order Indaba Merlot online now.